Advanced Resources provides the expertise to solve your organization's most pressing HIT challenges. With fluctuating demographics, legislative changes, technological advancements, and the focus on value-based patient solutions, the health information technology (HIT) landscape is constantly evolving. Advanced Resources helps you solve complex business problems and position your business for the future. 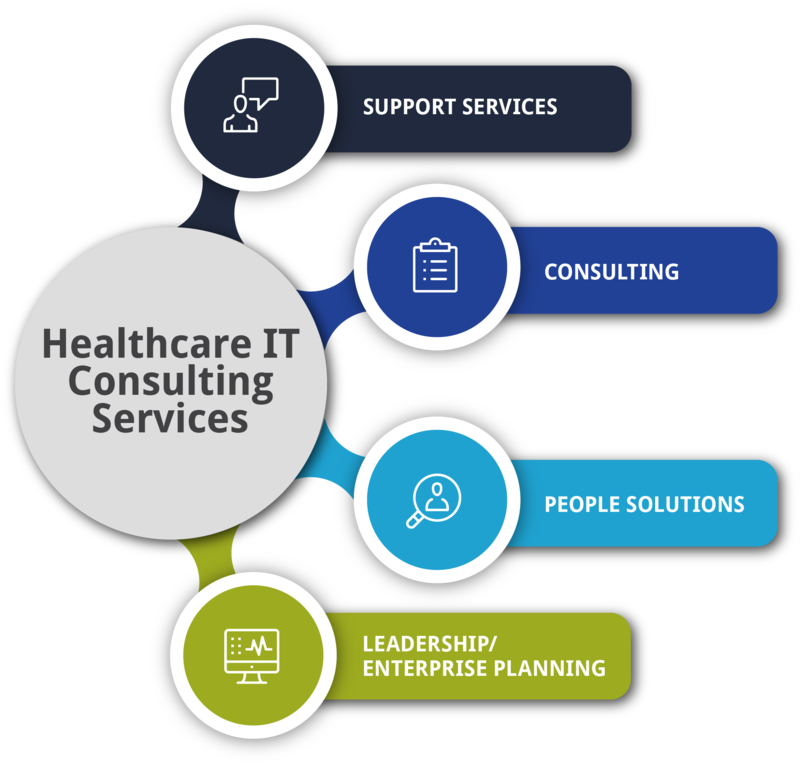 Our Healthcare IT Consulting Services team offers strategic solutions, including Support Services, Consulting, People Solutions, and Leadership/Enterprise Planning. Advanced Resources’ subject matter experts and certified professionals bring expertise to your company to help solve your most pressing HIT challenges. Whether you need additional resources to complete your team, key resources for your organization, or strategic advisory and consulting services, Advanced Resources is your partner. See how our experienced team of healthcare industry experts has helped organizations successfully navigate challenges, such as: EMR implementation/standardization, patient safety assessment, and regulation change. Contact us today! Let’s discuss how we might be able to assist you in achieving your results. Failing to properly assess legacy support can hinder the delivery of required onsite and offsite resources. As you move from current to future EHR, your people, process, and technology can be misaligned without a roadmap in place for the implementation process. Our talented Healthcare consultants can help solve the most difficult implementation challenges. Advanced Resources provides professionals to develop the roadmap you need including design sessions to ensure alignment throughout your organization. Our knowledge and experience enables the Advanced team to make recommendations for legacy support, training, and go-live support. Optimization of EHR is required to meet regulatory metrics. Without certified project managers in place to work with your organization’s leadership team, the success of your project can be at risk. Improving the performance of your organization requires an in-depth analysis in order to develop a strategic plan to optimize current and future state. By examining current processes, our subject matter experts and certified professionals assist with optimizing patient safety by improving the delivery of services and reducing risks, thereby improving value. Advanced Resources’ team of experts address the environmental, people, and EHR dimensions that diminish the level of success for clinical adoption, optimization, and improved outcomes. A manpower shortage can prevent a critical task from being completed, resulting in a negative impact to your revenue and profit. With demographic changes, ongoing mergers and acquisitions, the “gig economy”, and technology exploding, the war for talent is on. Careful planning and relentless execution will minimize the risks. Advanced Resources accelerates the performance of your workforce by providing motivated consultants with a strong sense of integrity, responsibility, quality, and discipline. We will work with you to design and deliver the custom talent solutions you need. In today’s complex world of fast-paced quality health care, the need for having the right leaders has never been more crucial. Organizations today are experiencing change at an unprecedented level. A meaningful use of the certified EHR technology is designed to improve quality, safety, efficiency, and reduce health disparities. Advanced Resources’ experienced team presents only the best talent when you are faced with workforce challenges to best suit your transformational leadership needs. Our consultants are on top of the current best practices in patient safety and through clinical transformation can improve clinical outcomes and quality care through process redesign and IT implementation.